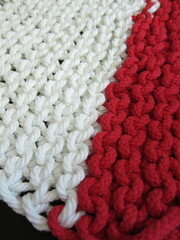 Crochet went out the window right away as the rope just didn’t have the give I needed to get nice stitches. 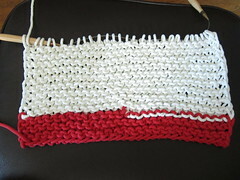 So, I switched to knitting. 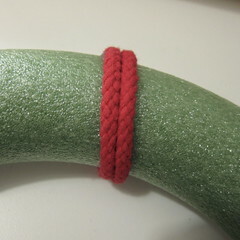 Getting a nice even tension was still tricky, but it worked much better. The problem was after using all the rope I had my rug was only 10″ long. I needed at least another 200 yards to get the 18″ x 30″ rug I was shooting for. That was more than I wanted to spend. Time to hit the drawing boards. 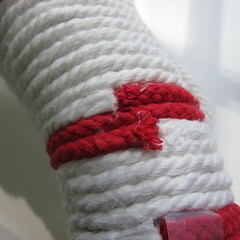 I wanted to use the rope, so I focused my ideas on that. 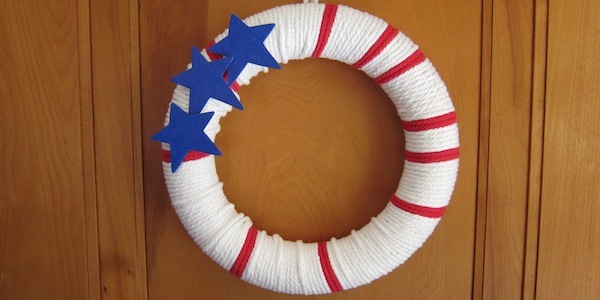 I batted around doing a rope bowl, but then started thinking I really wanted something for the front of the house for the Forth of July. A rope wrapped wreath seemed just the thing. This wreath is super easy to make. 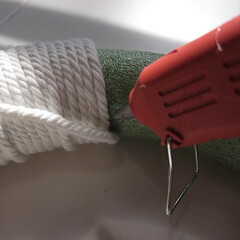 It can be a little time consuming to wrap all the rope the way you want (especially if you glue every wrap down like I did at first), but you can easily finish one this afternoon and have it hanging before the festivities tomorrow. I like the way it has a bit of a nautical feel to it as well. 1. Cut red rope into pieces big enough to wrap around the wreath twice. Glue in place at various spaces around the wreath with the ends at the back. I chose to randomly space them out, but you could also be very precise. 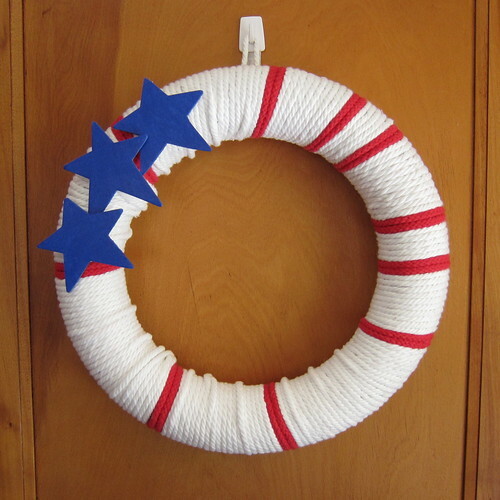 Since a wreath is bigger on the outside than the middle you will need to overlap the rope at the inside from time to time to fill it in completely. 3. Glue the stars in place. 4. 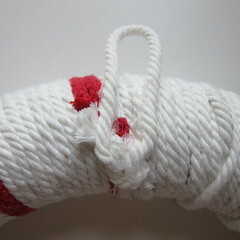 Tie a small piece of rope into a loop. Glue to the back of the wreath where you want the top to be for a hanger. We hope all our readers in the States have a wonderful Fourth of July. 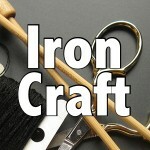 7 years ago by Kat in Challenges , Craft Projects , Crafts , Fourth of July , Holiday , Iron Craft , Projects | You can follow any responses to this entry through the RSS feed. You can leave a response, or trackback from your own site. That is a cool way to use the materials from a project gone sour! Great job.